Turin is reachable by six motorway, besides at many others secondary roads. N.10 Padana Inferiore, verso la Liguria(Torino-Alessandria-Novi Ligure-Genova. Turin is 149 Km far from Milan, 170 Km from Genoa, 220 Km from Nice, 252 Km from Geneva. Turin has tree railway statinos, Porta Nuova (Carlo Felice's Square), Porta Susa ( XVIII December's Square), Lingotto's Station (Pannunzio street). For informations about trains and hours: www.trenitalia.com. Porta Nuova is the main railway station, from which arrive and depart trains from and for all directions. it is situated in the town center and easlty to reach on foot or with public means. it feced on Carlo Felice's Square from which started the centreal Rome street. Insides: car rents, restaurants, kiosks, Free Shops, bancomat, tobacco stores and bars. 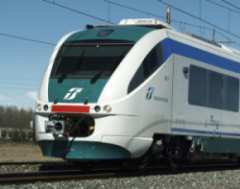 Main lines for: Milano, Verona, Bolzano, Brennero, direzione Austria e Germania, Venezia, Trieste, Alessandria, Genova, Roma, Napoli, Reggio Calabria, Bardonecchia-Modane, Parigi e Francia, Cuneo, Savona, Ventimiglia, direzione Francia, Aosta, Pinerolo, Torre Pellice. Porta Susa is the traditional flow statione to Milan and generally for trains from and to East and from and to West. It is placed in XVIII December's Square and permits easy cnnections with buses and suburban means. Inside: bar/restaurant, kiosk, tobacco store, bancomat. Turin Lingotto, station of strategical importance, once connected only with the goods yard, now it connects Turin with South Italy. There stops also Intercity trains. Complete of every service and of recent construction, it is placed in the southern part of the town near Moncalieri and the congressiaonal Center. Opened at the commercial and international traffic, the international airport of Turin Sandro Pertini (or "Turin Caselle") is 15/16 Km in north-northwest direction far from the town center and connected with the motorway network (North orbital road). iIt is the natural arrival poimt for the international tourism and in particular for the winter one which goes in the mountain localities of Piedmont and the Aosta Valley. The Europeen towns with direct flights on Turin are: Amsterdam, Barcellona, Bruxelles, Duesseldorf, Francoforte, Lisbona, Londra, Lussemburgo, Madrid, Monaco, Parigi, Stoccarda. Moving through Turin by buses ia easy and economic. 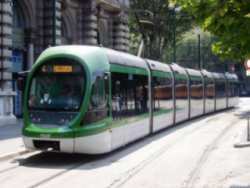 The tickets are buy in tobacco stores, bars or in the GTT Turin's Transports Groups offices. The taxi service is confortable and efficient but surely less economic than buses. 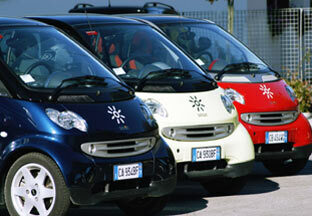 Thanks to its big roads and large avenues, Turin allows to move by car easly. Going out of the several motorways we enter in the ring road and in the main arterial streets which bring to the twn center: from the southern ring road, Stupinigi exit, we enter in the sovietic union main street which brins to the Porta Nuova station, in full center; from the A32 Frejus, following France main street and Peschiera main street we arrive at Porta Nuova, o along Allamano main street and Sebastopoli main street we enter i the central Turati main street; from the northern ring road, from the Caselle airport and from the A5 we enter in Lecce main street and along the Peschiera main street we arrive in center.